Billy Ray Cyrus will do anything for publicity. Couldn't they have just found a fat roll to store that money? so wait is the minotaur man thing also a stripper? i dont get the garter belt with the money. 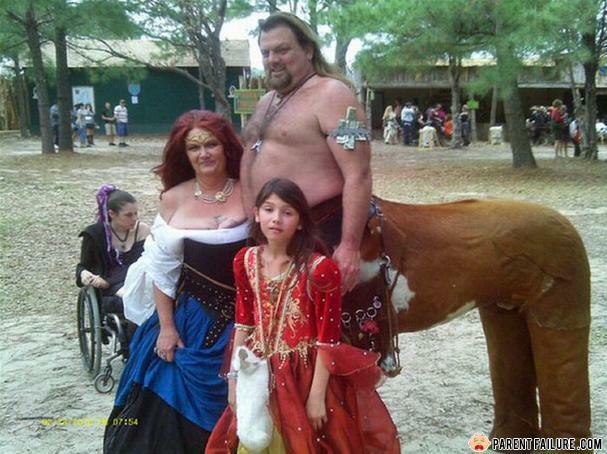 That's the Texas Renaissance festival. He gets tips for taking pics with people. Nice guy actually. This is my daughter, my new wife and my ex-wife. Was that picture taken at the Neshobia County Fair? Sure looks like it. Minotaur=bull, centaur=horse. Damn... That makes me sad. Lol I'm in a wheelchair and everyone at my school calls me emo XD I love this!